When it’s hot out, staying hydrated is vital. 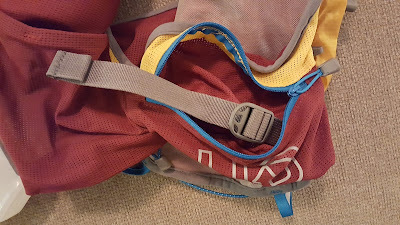 I have tried hydration backpacks, belts, handheld bottles, and even tried just figuring out where drinking fountains were on my runs. Staying hydrated on my runs, especially in the hot California Summer is a necessity. 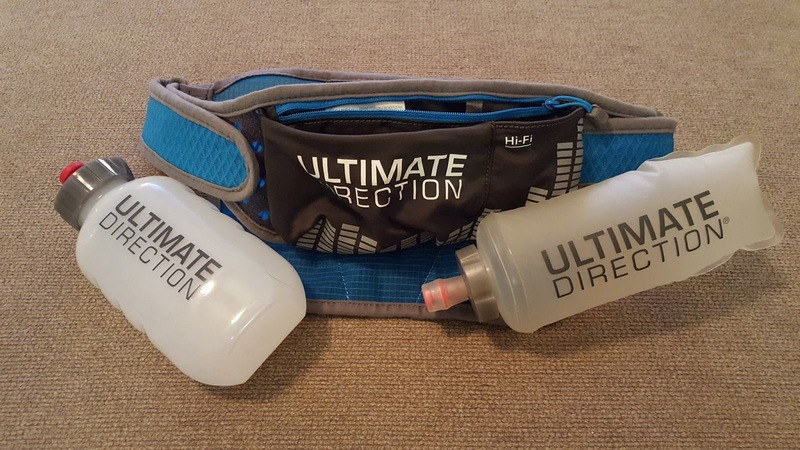 Ultimate Direction claims that they invented the entire category of hydration packs in 1985. They created the first waist pack for carrying bottles and a few years later made the first handheld water bottle. After 30 years, Ultimate Direction remains a leader in the hydration industry. They created the running vest and help increase its popularity in the running world. They also were the first to introduce the first women’s-specific line of hydration packs. Ultimate Direction takes some of the best runners in the world and gets their input in designing their gear to incorporate the items that runners really need. 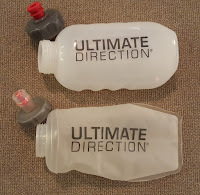 I have tested several Ultimate Direction products in the past. The AK Signature Series from Ultimate Direction is named after Anton Krupicka, an American ultra-runner. He has won some of the top ultra-marathons including the Leadville 100 (twice), the Miwok 100k, the Rocky Raccoon 100 Miler, the White River 50 Miler (twice), the High Mountain 50k, and the Estes Park Marathon. It is amazing to win just one of those races, but Anton is an ultra-running icon. He is 33 years old and lives in Boulder Colorado. You should check out his blog, Riding the Wind if you get a chance. 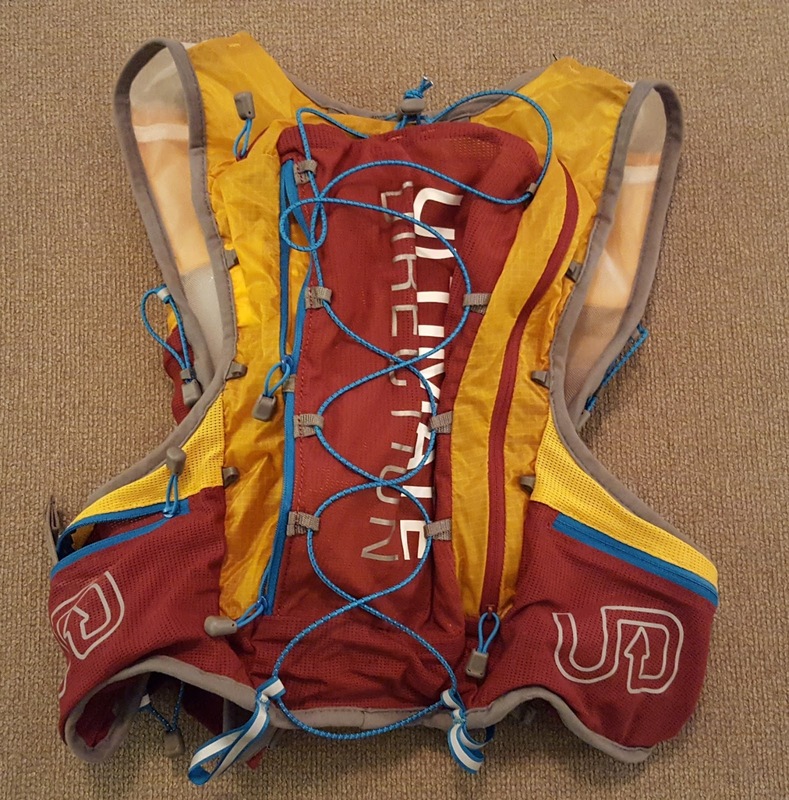 Anton had a huge hand in designing this pack and while he used it to be able to hold more gear for climbing and high mountain adventures, it works great for long trail runs and trail races. 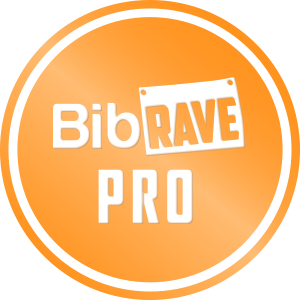 I used it during my first 50k last month and loved it, but more on that later. The AK Mountain Vest 3.0 is a beast when it comes to storage capacity. It has 2 pockets for bottles (either their Body Bottle or Flexform 600 bottles) in the front. There is one zippered pocket, three elastic stash pockets, and two Velcro pockets that are also in the front of the pack. There are two zippered pockets on the sides and two zippered pockets on the back. 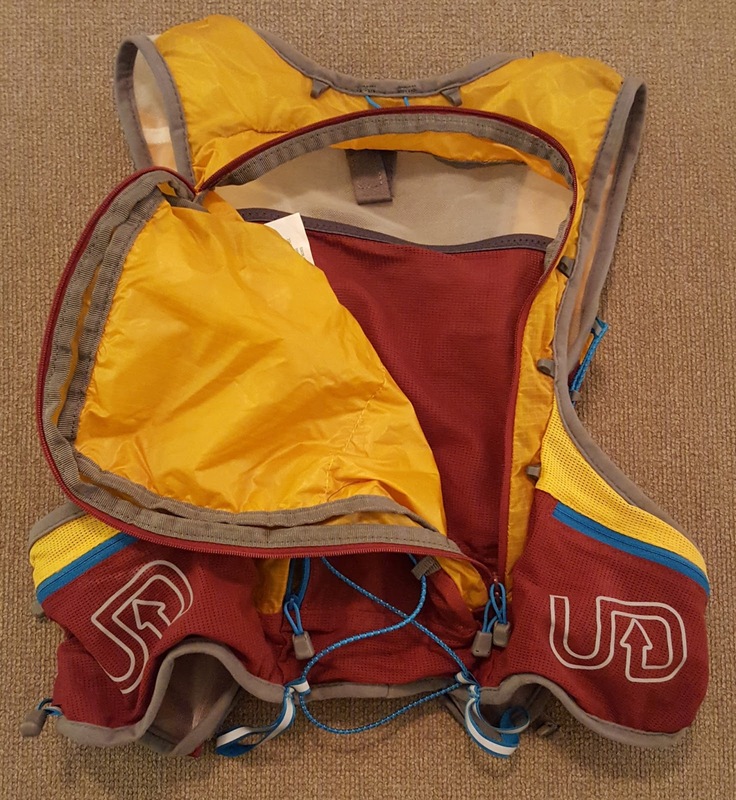 In addition to that, there is a big mesh pocket and the large zippered compartment for a hydration bladder if you want to add that (not included). That back compartment has a separator and a bladder hanger as well. So, to give a count, there are a total of 12 pockets not including the large compartment in the back. It will hold more than you could possibly imagine. The AK Mountain Vest 3.0 comes in three sizes and has additional straps, hidden in the side pockets, to make micro adjustments. There are two sternum straps that tighten the vest from the front. The straps move up and down on rails to make the fit work for different body types. They also come in handy after you have taken out some of your gear (i.e. gels and water out of the bladder) so you can tighten up the pack. There are ice axe loops on the back and there are two sets of trekking pole loops on the front of the pack. It makes it much easier to store your poles for quick access instead of having to take your pack off to put away your poles and take them back out. While I probable will never use the ice axe loops, the trekking pole looks work great and I will use them for sure. The pack uses a combination of Knit Mono Mesh, Darlington Power Mesh, and SilNylon/66 to make the pack light weight and extremely breathable. It can hold 11.5 Liters of gear and weighs in at only 11.55 ounces (14 ounces with the bottles). 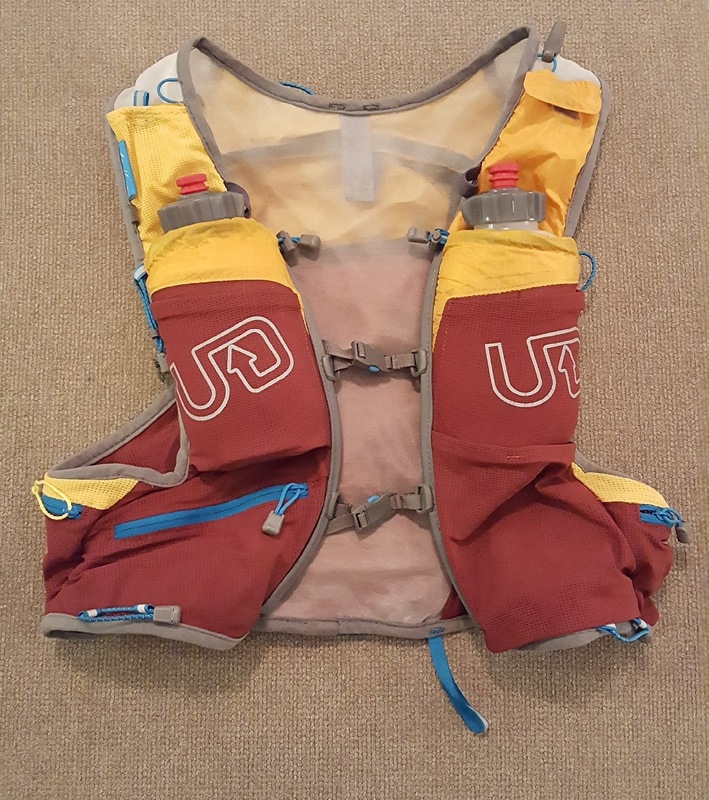 You can get the AK Mountain Vest 3.0 for $154.95 on the Ultimate Direction website or you may be able to find it for less by shopping around online. It comes in two colors, the Graphite/Blue and the new Canyon Color (Red and Yellow/Orange). I love the look of the Canyon color scheme. I have used this pack for several training trail runs, road runs, and ultimately, I decided to use it for my first ultra-marathon, the Salmon Falls 50k Endurance Run. 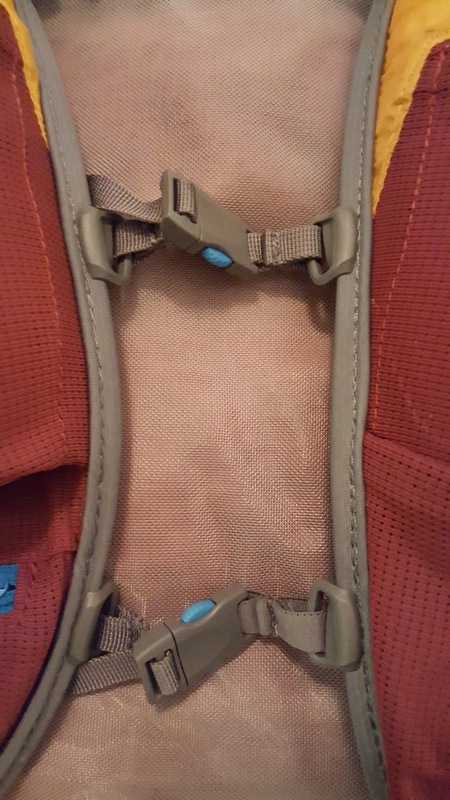 I picked the AK Mountain Vest 3.0 over other packs that I have tested because it is not only one of the best fitting packs I’ve tested, but it can hold tons of gear. I also like the fact that the pockets are positioned really well. 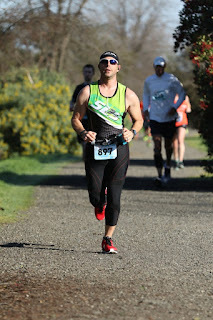 I had my Samsung Galaxy S6 in the front zippered pocket (so I could use Garmin LiveTrack and have quick access for pictures). I had plenty of room for the two Flexform bottles (one with water and the other with Tailwinds) plus enough Glukos gummies to make it through the race. 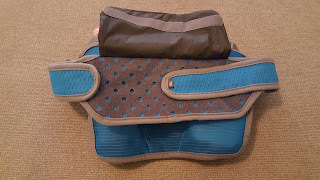 I used the Velcro pill pouch for my salt tabs and Sport Legs and had a small hand sanitizer on the other side. In the back Velcro pockets, I had Coleman Bio Wipes in case I needed to make a pit stop and a small first aid kit. 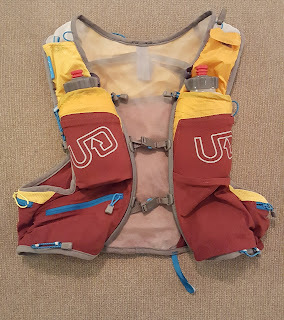 Just to clarify, the AK Mountain Vest 3.0 comes with two of the Body Bottles that are collapsible. The Flexform bottles can be purchased separately. Here are pictures of both types of bottles. The AK Mountain Vest 3.0 is awesome and I can’t recommend it enough. Anton really put a lot of thought into this pack and Ultimate Direction did a great job as usual. I can’t wait to use it on my next trail run. Soft lining around the whole pack to reduce chaffing. The Groove Stereo with Bottles is a great waist pack that has tons of storage and comes with two Body Bottles. The Hi-Fi front pouch has a large zippered pocket with a clip to secure your keys. There are two flexible pockets as well. One is larger and the other is smaller. The larger one is big enough to fit my Samsung Galaxy S6 with its case. The smaller pocket is big enough for a few gels. 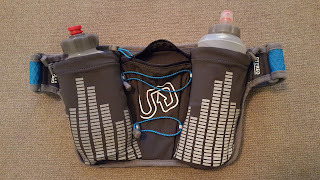 The back of the Groove Stereo has two pockets that will fit the Ultimate Direction Body Bottles or you can get the Flexform 600 bottles if you need more fluids (sold separately). The pockets hold the bottles in well. There is a large zippered pocket in the back that can easily fit a phone, jacket, or a ton of gels. There is an elastic draw cord on the back to attach your jacket after you warm up as well. The Groove Stereo uses AirRip mesh, which provides dual compression for a secure and breathable fit. It has Velcro and stays on well. This system does a great job of holding a lot of gear without bouncing. You can flip up the front pouch to tighten the belt even more. There are two sizes and the pack weighs in at 4.5 ounces without the bottles. You can get the Groove Stereo on the Ultimate Direction website for $99.95, but just like the AK Mountain Vest 3.0, you may be able to find a better deal online. It is a great pack with tons of storage. It does a great job of spacing out the weight and feel great mile after mile. Ultimate Direction guarantees its products against manufactures defects. You send in your damaged products and they will be repaired or replaced. Damages due to an accident or improper use can be repaired at a reasonable rate. (Click here for more details about the warrantee). I am very impressed with Ultimate Direction’s products. The AK Mountain Vest 3.0 and the Groove Stereo are both great hydration systems and will make sure you have plenty of room for all of the goodies you want to take with you. Get your Ultimate Direction gear today and summon your inner ultra-spirits. I just found your post while looking for information about the compatibility of the UD Flexform 600 bottles and the AK Mountain Vest. Just to confirm, you have used the Flexform 600 bottles in the front/chest bottle pockets of the AK Mountain Vest 3.0? Any issues with taking them out/putting them into the pockets while wearing the vest? Yes, I have the Flexform 600 bottles and they work great in the AK Mountain 3.0. Ease to take in and out and I personally like them better than the soft flasks. Please let me know if you have any further questions. 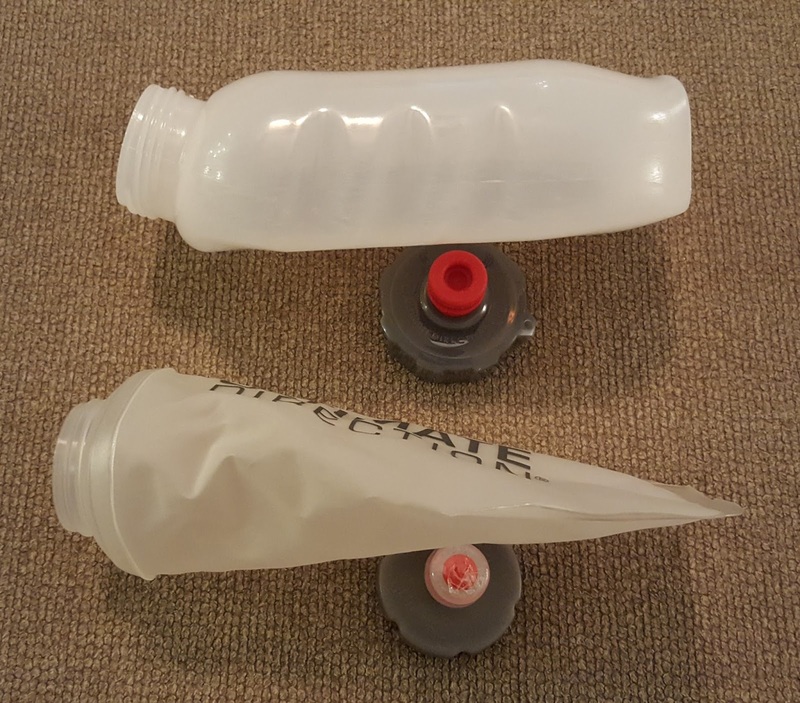 I'm also not a big fan of the soft flasks as they seem to bounce more than bottles (I think the air space in bottles buffers some of the momentum that builds up in the soft flasks), and I also don't like the lids on the soft flasks. On the other hand, they are more comfortable on my chest and don't make the "swishy" bottle noise. So, I'm hoping that the slightly flatter profile of the Flexform bottles would be more comfortable than the old round bottles. Do you agree with that? 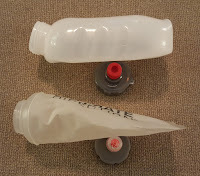 Is the opening on the Flexform bottles any bigger than the opening on the flasks for easier addition of ice? Yes Andy, the Flexform bottles are easier to put ice in, but still need to put ice in one cube at a time. The sloshing is still present, but better than the soft flasks.